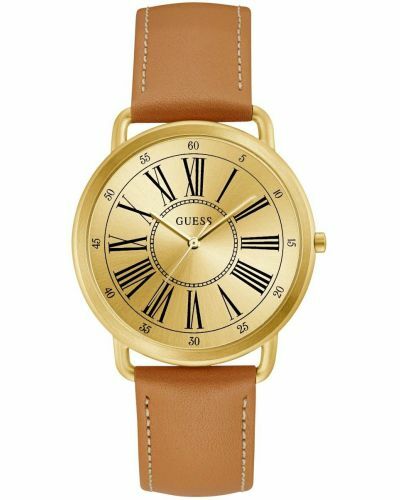 This bold women's watch is brought to you by Guess as part of their new 2018 Kennedy collection. With an eye catching oversized 41mm rose gold plated stainless steel case and bezel in which houses a striking silver sunray dial. Daring black Roman Numerals adorn this stunning dial and are complimented by the elegant three hand rose gold dauphine movement. 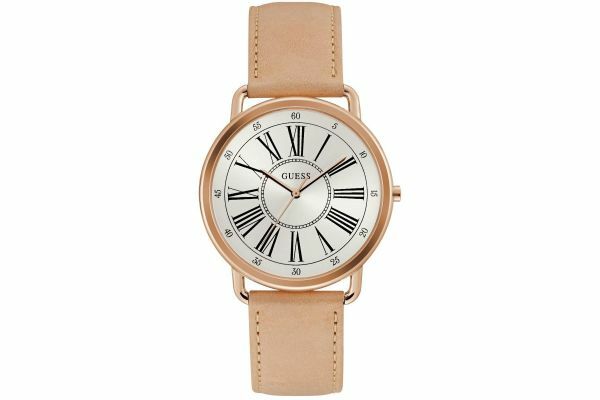 Set upon a chic peach genuine leather strap and fastened by a secure rose gold plated stainless steel buckle the Kennedy watch is as commanding as it is comfortable. Powered by Quartz movement and protected by mineral glass the Kennedy watch is water resistant to withstand light rain and handwashing. Complete with a two year guarantee and official Guess packaging. 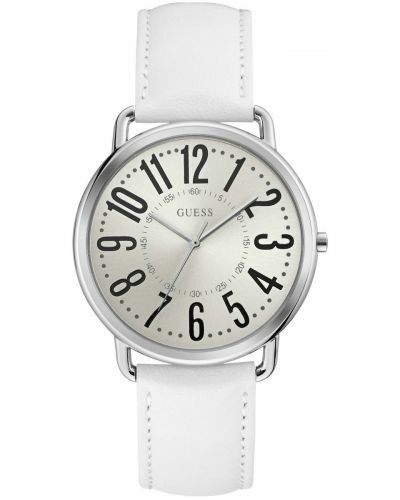 For us to size your new Guess Kennedy watch as accurately as possible, please take a look at our downloadable Watch Sizing Guide.